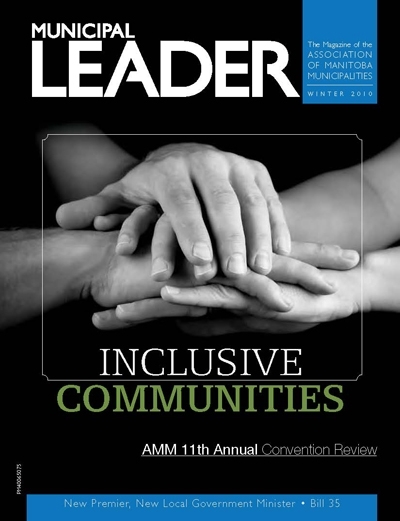 Building on what most would agree was a far too short session on the same subject at the AMM 11th Annual Convention back in November, we decided to feature a special report on “Inclusive Communities” this issue. The report kicks off with a recap of that same session, followed by a focus on four specific areas – Manitobans with disabilities, younger Manitobans, older Manitobans, and new Manitobans. The report is sure to give readers an excellent grasp of some of the things needed to make their communities more inclusive.